Trying To Boost Membership At Your Martial Arts School? Home Trying To Boost Membership At Your Martial Arts School? Typical direct mail returns less than 2%. Impact Mailers Plastic Postcards stand out. Achieve DOUBLE DIGIT returns up to 20%! Save 10% on your first order when contacting us through our website! The mailer has been a resounding success! Quite possibly the best single marketing campaign we’ve run. I plan on running one every quarter with you. There is no job too big or small, no deadline too tight for Jeff and his team. We look forward to a continued relationship. Impact Mailers is the best direct mail company we have worked with. They excel in terms of design, breadth of materials, and simplicity of ordering. Cut through mailbox clutter and get noticed! Impact Mailers uses state-of-the-art printing and graphic design to promote your martial arts school. Instead of traditional print ads, your martial arts plastic cards can be directly mailed to hundreds or thousands of mailboxes in your area, landing right into the hands of local consumers. 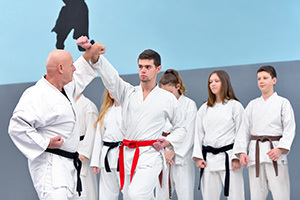 As a martial arts center, you probably try to promote your business with free lessons or discounted training sessions with your instructors, but advertising these offers to the local community is the hard part. Impact Mailers makes it easy to reach the consumers in your local area that are the best prospects to become new students at your facility. Unlike flimsy paper fliers that are tossed in the trash, the Impact Mailer has a heavier, credit card feel and glossy, high-resolution plastic display. Suddenly, recipients find themselves staring at the name of your martial arts center and the great deals your school offers. With built-in breakaway cards and key tags, customers can easily carry around your advertisement in their wallet or on their key chain as a constant reminder to become a student at your martial arts school. The plastic construction adds durability and convenience for the consumer, allowing for longer expiration dates and extending the reach of your offers. If repeat visits are a focus of your marketing plan, the plastic cards and key tags provide the perfect foundation for a loyalty program or referral offer for your existing students. From simple punch cards to bar codes and magnetic stripes, the cards and key tags will keep them coming back for months or even years! Paper coupons simply can’t compare. When you choose Impact Mailers, you are investing in the future of your business, reaching new students and spreading the word about your facility. Targeting: Our mailing professionals will ensure that your Impact Mailers are precisely targeted directly to the households that best match your ideal student demographic. Your current student list can also be suppressed from the mailing, creating the perfect acquisition tool for new students. Are you interested in reaching students of a particular elementary school in your area? We can do that too! Membership Cards: With advanced printing technology, our plastic postcards can be uniquely bar coded with membership ID’s. 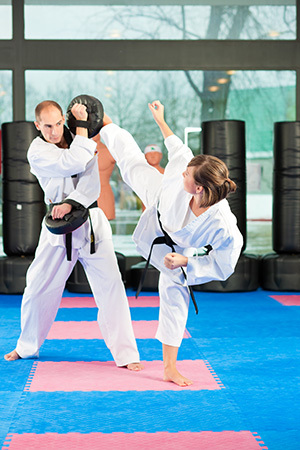 Equipment Discounts: Does your school sell martial arts equipment too? Our postcards are a great way to advertise seasonal discounts on special equipment for your brand of martial arts. Professional Design: Our highly skilled graphic designers can pack as much, or as little information onto a single postcard as you would like to properly promote your school. Facility hours, class information, and monthly discounts are all displayed on a vibrant, multicolor plastic postcard that will get noticed in a crowded mail box full of paper-based coupons, mailers and catalogs. Durability: Impact Mailers postcards are more likely to get noticed and last longer than paper advertisements. With a significantly longer shelf life, you can expect more new students to find your school. Personalization: Does your martial arts center cater to women’s self defense training? What about children’s after school karate lessons? Our personalized cards make it easy to target the specific demographic that will attract the most business. If you are targeting students of local elementary schools in your area, the mailer can be addressed specifically to them using their school name. Want to target multiple schools in a single mailing? No problem! With our variable data printing process, there are no extra charges to run multiple versions. 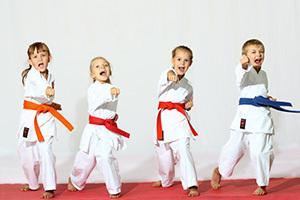 No matter what kind of martial arts school you operate, Impact Mailers can help your business boost monthly enrollment. Call us today at 1-888-983-2250 for more information about our direct mail solutions!